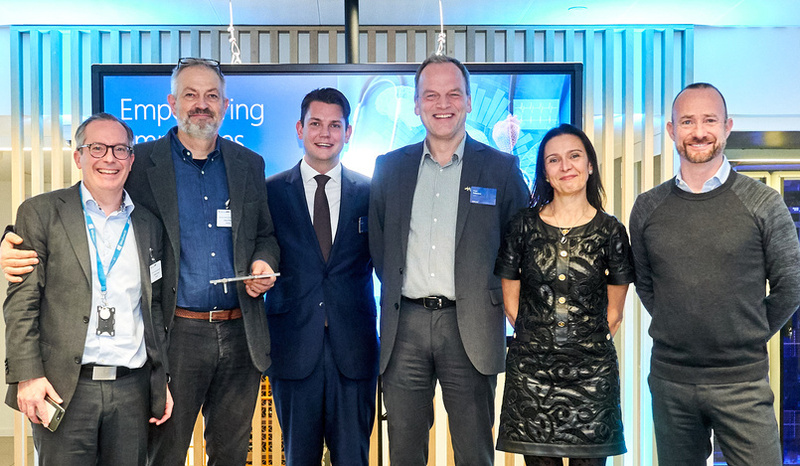 Sigma IT Consulting and Dr. Johan Permert from Karolinska Institutet won a prestigious award at Microsoft's annual conference in Brussels "European Health and AI Summit". At the conference, key decision makers from the IT industry, clinics and healthcare professionals around Europe participate as well as policy makers and politicians. Sigma and Dr. Johan Permert won the award for an MDK solution (multidisciplinary conferences) in Pancreatic cancer in the category "Empowering clinical employees". – To help improve the opportunities in cancer care, for both healthcare professionals and patients, is incredibly inspiring. The award is a proof that what we do is important and that we are at the forefront of digitalization in healthcare, says David Österlindh, responsible for eHealth at Sigma IT Consulting. Sigma and Karolinska have collaborated during this year to develop a customized solution for multidisciplinary conferences. MDK enables several different disciplines in health care to, at the same time, be able to share the patient's history of illness and, in consultation, make the best and most effective care decisions. The business areas within Sigma that support and collaborate on the MDK solution are eHealth, Bool and the Internet of Things & Artificial Intelligence. Together, they work on developing strategies and digital solutions for better resource utilization and quality of care.